Lets light up candles, lets put up multiple balloons. This is a day that comes once in a year lets celebrate it in a special way. Did we not celebrate your birthday jus last year? But I am not complaining I love the parties. So let’s have fun and make this day special. Happy birthday! It is a very special day for me to enjoy and celebrate, this is the day when my partner in crime came on earth. Happy birthday. With you each day is a blessing and I hope I have you always in my life. I send your way a big hug followed by a big birthday wish. Hope you get a big cake, big party and big gifts on this big day of yours. Happy birthday to a big hearted person like you. Blow the candles and make a wish and I will wish that your wishes come true. You deserve more and better. Happy birthday my friend. God bless you and take care. Kick off your shoes, let your hair down, cut soft birthday cakes, shake around, receive everyone’s blessings and let the happiness surround. I wanted to send you something sweet on your birthday but even after searching high and low I could not find a single thing which claimed to be sweeter than you… happy birthday!! Twinkle twinkle little star, lets have some booze in the hookah bar. Far above the world so high, may you spread warmth upto the sky!! Happy birthday dear. I always prayed for a special someone whom I could keep close to my heart. The day I met you I knew my prayers were answered….happy birthday my sweetheart..
May you live a hundred years more and grace the world with your presence and may you keep throwing parties each year and make sure to invite me… Happy birthday!! You are always there to spread warmth and give happiness to others. Today I hope all your kindness pays off ten folds and you have the best birthday of your life. Sun was jealous of you my sweet friend. Do you know Why? It is because you spread more warmth and sunshine in others life than it ever did…Happy birthday dear..!! 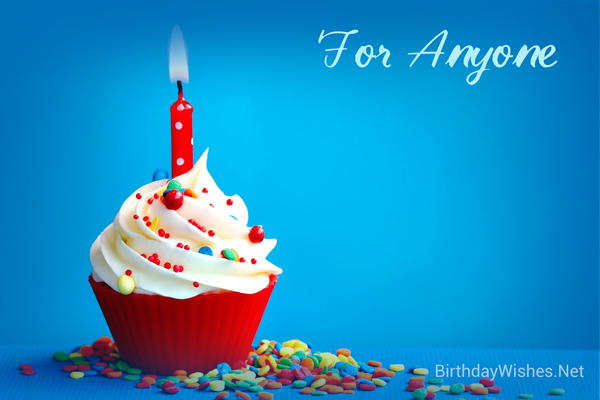 Birthday is the only day that comes to us each year without any efforts. I send your way all the fu and excitement that only a birthday can bring…happy birthday..
Another year has come and gone, the sands of time are flowing at great pace. Your birthday is a special way to let you know that I care…happy birthday..
Gosh! It is your birthday again and still you look just the same!! Adding a year to your life doesn’t make much of a difference isn’t it? Well by the way a very happy birthday to you.